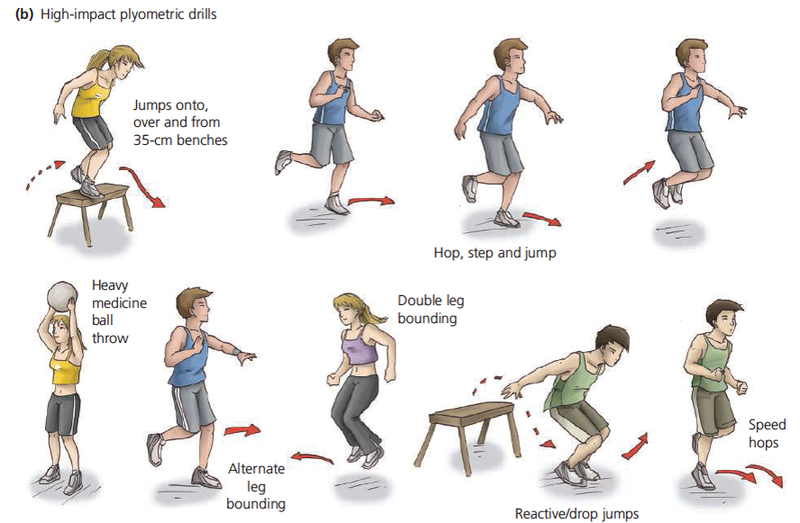 Plyometrics is a form of exercise designed mainly to help you perform better in any sport. After practising plyometrics, you are supposed to be able to run faster, jump higher, hit harder and with more accuracy. It is a strengthening exercise that ideally should be a part of the core overall exercise program. It is a fun activity and is aimed at children and adolescents of all ages. Jumping jacks is a great example of a typical plyometric exercise. Doing it regularly can help improve children’s muscle tone, make bones stronger and also help in weight-control. Plyometrics is not necessarily the best form of exercise for adults because the movements used in a polymeric regimen uses muscle strength to expand and contract muscles at a very high rate. As adults, the elasticity of muscles or the strength of the bones may not are not developed as that of children and adolescents. Polymeric regimen basically has two different phases in the total duration of the course. The first phase is to stretch the muscle as much as you can - imagine yourself like a rubber band. For example, if you were doing squats, then your starting point to the point of squat will be the lengthening phase or the first phase of plyometrics. Then the second phase is immediately contracting the muscles by contraction. In the second phase your body is expected to contract in an explosive action and moving as quickly as possible. The objective of this phase is to have your muscles make a strong contraction quickly. As per the American College of Sports Medicine, plyometrics is absolutely safe for children and it can be a fun activity given that it is designed scientifically and also supervised by trained coaches. This can help them excel in any sport!